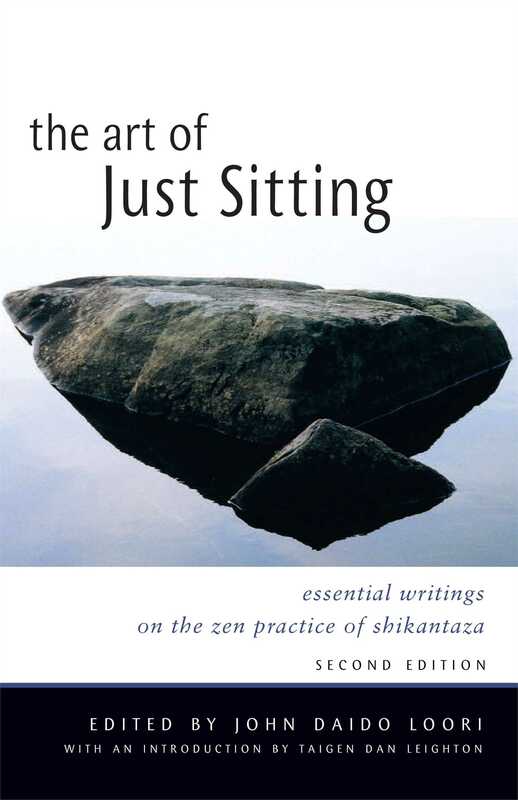 "At last a book that brings together writings on the subtlest and most fundamental Zen practice: just sitting. For the first time, now gathered in one volume, we can read 1500 years of the discovery of true path of discovery and realize what it means to be truly present for life as it is. Zen Master Daido Loori has gathered the essence of true meditation into this jewel of a book. We should not miss it." "When Daido Loori, now abbot of Zen Mountain Monastery, began his Buddhist practice, he couldn't find much written on the subject of sitting meditation. Taken together, the writing in his The Art of Just Sitting spans 1,500 years, all pointing to the practice of 'just sitting,' whereby no object is used as a meditation focus. There are specific instructions here for location, posture, and mental state, which will be helpful to beginners. Advanced practitioners can benefit from the more esoteric thoughts about 'non-thinking.' Loori has compiled a useful guide, promising 'if you were to live for a hundred thousand years, you would never find in this life anything more powerful, more healing, [and] more empowering.'" "A valuable collection from an authority on this subtle and profound form of Zen. We have needed a book like this for a long time." "This is the single most comprehensive treasury of writings on the subject in English. It is likely to remain the most important collection for many years to come. Often misunderstood, the practice of shikantaza is authoritatively presented and carefully examined in two dozen essays by Chinese, Japanese, and American masters, along with an appendix of six seminal classic texts. This volume, spanning the centuries since Shakymuni Buddha to the present day, will prove indispensable to meditators and scholars alike. Roshi John Daido Loori has given us a rare treasure." "'Just sit' is one of the most commonly heard --and least understood--phrases associated with Zen Buddhism. And yet 'just sitting,' or shikantaza--along with koan practice--is one of the two primary methods of Zen meditation. Zen master John Daido Loori brings together teachings of some of the most prominent ancient and modern teachers, including Dogen Zenji, Shunryu Suzuki, Sheng-yen, and Maezumi. The book also includes an appendix of foundational texts relating to the practice of shikantaza." "Wisdom is putting out good, interesting books, and here is one devoted to the meditation of just sitting, edited by John Daido Loori, who has done a fair amount of it. It's a cool book, an anthology drawing from a variety of authors, and it takes the risk of going deep."